It’s been nearly eight years since he-who-must-not-be-named was defeated in the release of the final film in the Harry Potter series. Since then, fans of the series have been blessed with the spin-off film series, Fantastic Beasts and Where to Find Them and the play Harry Potter and the Cursed Child written by Jack Thorne, J.K. Rowling and John Tiffany. There’s a reason why Harry Potter is loved all over the world and why it ranks in the top 10 highest selling books of all time — readers’ and audiences’ seemingly universal love of magic. It has been a common theme in fantasy stories and fairy tales for thousands of years. The idea of creating something using nothing more than the words in a spell or the flick of a wand draws people in. We’re obsessed with magic in stories because it inspires the idea that anything is possible. The binge-worthy world of Japanese anime is no different. Whether it be in the form of ki (spirit energy) in Dragon Ball Z, the devil fruit in One Piece or even Doraemon’s magic pocket — all of these plot devices do the same thing: they make the impossible possible and turn dreams into reality. That is the power of magic and why it’s such an exciting and pleasing theme in all forms of fiction — including anime. While the titles on this list may not completely fill the Harry Potter void in your heart, they all present the theme of magic in fun, classic or completely unique and original ways. 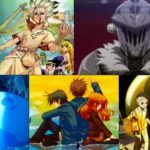 All of these Japanese anime are available to watch with English audio, subtitles or both. One of the most interesting things about the Harry Potter series is the division of students into houses or factions. In Fairy Tail, wizards and witches join various guilds — the most powerful of them is known as Fairy Tail. The story follows Lucy Heartfilia, a young magician who leaves her family and ventures into Magnolia City to join the Fairy Tail guild. There, she meets a hot-headed fire wizard named Natsu who gets her into the guild and drags her along to more adventures than she’d ever hoped to have. What’s amazing about the anime is its brilliant pacing and ability to never feel forced or dragging. 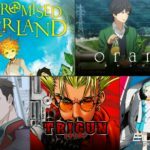 When an anime in Japan gets popular and spans hundreds of episodes (much like popular series everywhere), there’s a tendency to have filler episodes or plot arcs that have no effect on the main storyline at all. With Fairy Tail, for the most part, every episode contributes to the main narrative and every episode feels like there’s always something on the line. Characters die. Good guys lose. Sworn enemies switch sides. Fairy Tail will have your heart racing with its action-packed fighting scenes and tug at your heartstrings at the same time. Fairy Tail is available on Amazon Japan. The ability to deconstruct and reconstruct, to turn charcoal into diamonds or lead into gold — such is the power of alchemy. Fullmetal Alchemist is an anime based on an action shonen (boys manga) series by Hiromu Arakawa. It features occult and demonic elements with often serious undertones and mature themes that follows Edward and Alphonse Elwick, two brothers who displayed a strong talent for alchemy at a young age. The Elwick brothers were wounded by their father abandoning them and the premature death of their mother. The brothers vowed to resurrect her using alchemy. We’re obsessed with magic because it inspires the idea that anything is possible. Unfortunately, their resurrection attempt fails. In the process, Edward loses his arm and Alphonse loses his entire body. In a last-ditch effort to save his brother, Edward links Alphonse’s soul to a suit of armor. Once the two brothers become of age, Edward becomes an official state-recognized alchemist in order to bolster their efforts of finding the philosopher’s stone — a mythical relic that should restore the brothers’ lost body parts. After the original anime came ended in 2004, a second anime series titled Fullmetal Alchemist: Brotherhood was released in 2009. 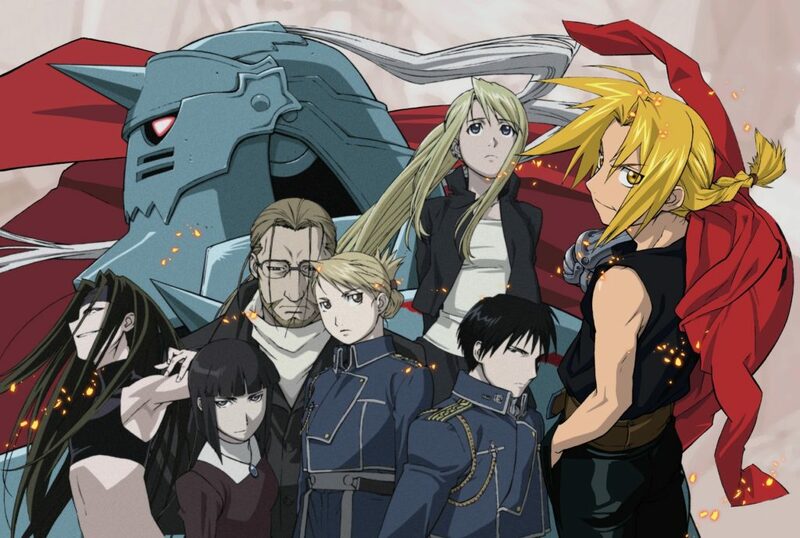 Fullmetal Alchemist: Brotherhood follows the manga more seriously than the first animated series and is considered by many to be the more definitive version. Fullmetal Alchemist: Brotherhood is available on Amazon Japan and the original Fullmetal Alchemist is available on Netflix. Just like the Harry Potter characters Harry, Ron and Hermione; Little Witch Academia follows three witches named Atsuko, Lotte and Sucy. The three witches embark on a series of foolhardy adventures while trying to survive the semester at the Luna Nova Magical Academy. Similar to Hermione Granger in Harry Potter, the main protagonist of Little Witch Academia, Atsuko, is ridiculed by her peers for coming from a non-witch, commoner family. Luckily, to make up for her less-than-adequate magical abilities, Atsuko happens to find a mysterious powerful magic staff that belonged to her idol, the witch known as Shiny Chariot. Little Witch Academia is targeted at younger viewers and the anime equivalent of a light summer read. While it won’t be inducing bouts of tears or thoughtful introspection, Little Witch Academia is the perfect anime to play in the background while getting chores done around the house or just to take a load off. Little Witch Academia is available on Amazon Japan and Netflix. Magic has been a common trope in anime for a very long time. Whether it be in the form of chakras in Naruto or alchemy in Full Metal Alchemist, supernatural power takes many forms in numerous mainstream and popular anime. Lost Song presents magic in a unique and interesting way: music. In Lost Song, songstresses are people born with the ability to cast spells using the power of their voice and the power of their music. While some songs can be used to heal injuries, others can be used to create flame and destruction. The manipulative and downright evil prince of the country, Rudo, calls a nation-wide hunt for all the songstresses in the country in order to use them as weapons of war. The anime follows Rin and Finis, two songstresses caught in the midst of the war. Lost Song is a musical anime that uses song not only in the background, but blends melody into the heart of the story and as a catalyst that drives the scenes forward or connects them together. If you’re someone that loves Disney musicals like Frozen or Aladdin, then Lost Song is the perfect anime for you. Lost Song is available on Netflix. 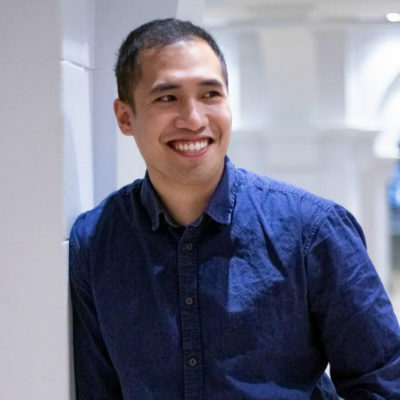 Imagine a world where magic is not the thing of fairy tales, but rather a technology that can be developed, harnessed and improved like any other machine. 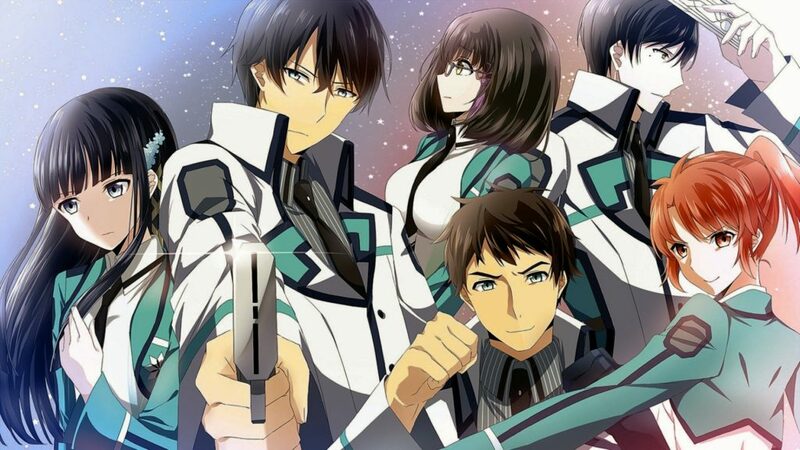 In The Irregular at Magic High School, it’s used as a tool for students to rise to the top of the First High magic academy and a weapon for governments to defeat enemy nations. The story follows Miyuki Shiba, one of the top-ranked students of the school and her brother, Tatsuya, a “weed” — second-class students who were allowed entry into the school despite lower magical capability. The students with the highest scores are referred to as “blooms.” The hierarchy of students at First High is strong and evident in the student body. While Tatsuya is the hero, he is treated poorly by many of the blooms, but there is more to this weed than meets the eye. Tatsuya quickly makes waves as the first weed to be assigned a position in the school’s disciplinary committee and defeats one of the top executives of the student council in simulated combat. What secret ability is Tatsuya hiding? What does the government hope to accomplish by training students in magical combat and weaponry? All will be answered in The Irregular at Magic High School. The Irregular at Magic High School is available on Amazon Japan and Netflix. Whether it be the flick of a wand, the words of a spell or the notes of a song, these five anime all manage to present magic in entirely unique ways. Some are short and sweet while others are longer but written well enough to maintain your interest. If you’re missing the mystical world of Harry Potter but don’t want to watch the series for the nth time, then one of these tales ought to provide enough magic to last you until the release of the next Fantastic Beasts film. 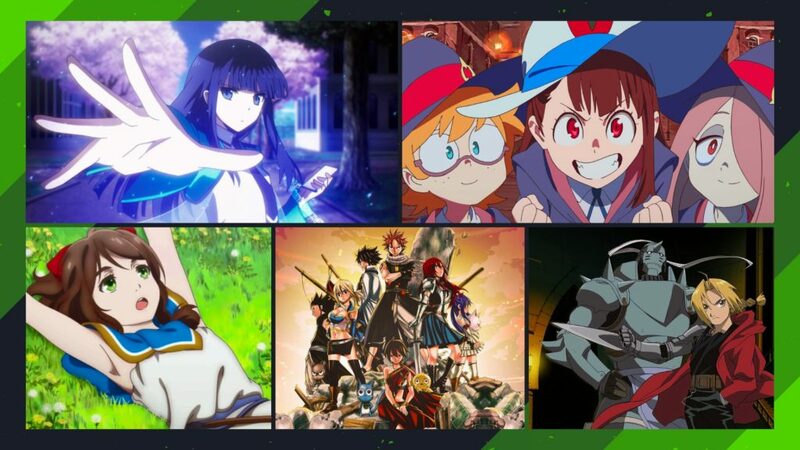 Did we miss one of your favorite magical anime? 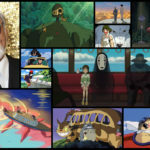 Which of these would you recommend to watch first if you’ve seen them? Let us and our readers know in the comments below.